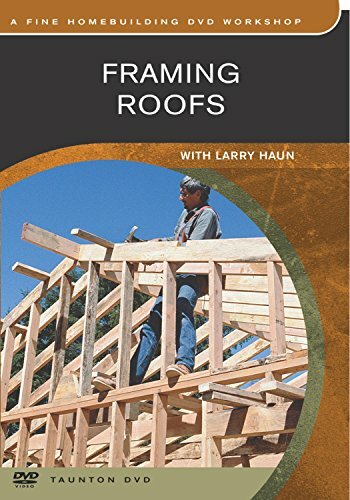 In Framing Roofs, Larry Haun and his brother Joe build the roof of a basic 1,600 square foot house. Starting from the top of the walls, they take you step-by-step through the entire process, showing you practical ways to organize tasks, streamline procedures, and handle the right tools and materials efficiently. If you have any questions about this product by FINE WOODWORKING WOR, contact us by completing and submitting the form below. If you are looking for a specif part number, please include it with your message.